Suprima Farms | Halifax Seaport Farmers' Market Ltd.
Suprima Farms Ltd. was founded in 1992 with the still current mission to provide you with food products grown locally, in an ecologically sustainable manner, without the use of synthetic pesticides, fertilizers and preservatives, processed as naturally as possible to optimize safety, nutritional value and flavor. During the past 23 years we have continued raising the bar. 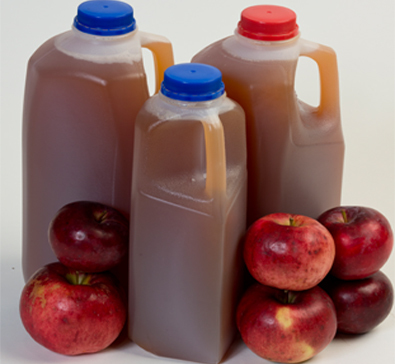 We grow our own fresh unsprayed apples and also make sweet apple cider with them. On our 14 acres of orchard we grow mostly scab resistant varieties like Redfree, Novamac, Prima and Novaspy which don’t require even organically acceptable fungicides to provide attractive apples for eating fresh and are also excellent for culinary purposes. The quality of our juice can be captured in the four words fresh, pure, tasty, local. We press every week using a blending strategy that guarantees the same rich lively flavor year round. We pay our help a living wage and are nearing our goal of growing the crop with only human energy.